When you look for things to do locally, roadtripping hardly ever comes up. With only a space of 719km2 , Singapore seems too small an island to explore. Yet, sometimes we all feel like taking a long drive. And maybe discover a new hideout to lepak at along the way. If you crave a driving escapade but are in need of a worthy destination, this list is made for you. 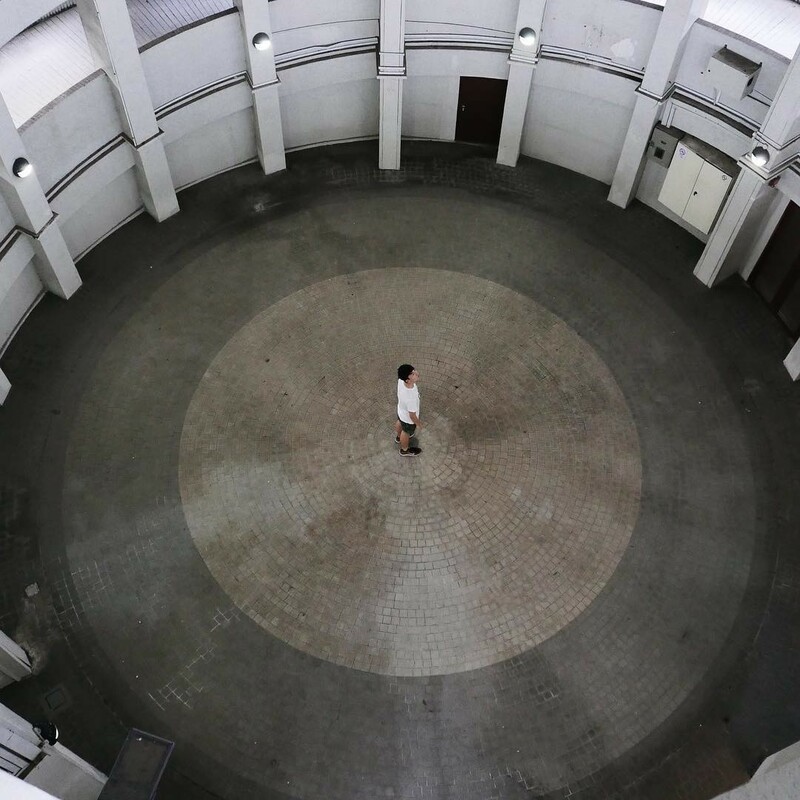 We’ve hunted down 10 places in Singapore off the beaten track that you can only access with a car - out of your usual route, but with sights and experiences unlike any other. You’d think grassy fields that make for *young, wild and free* snaps can only be found overseas. Well, think again. Tucked in a little corner near Tuas, where calling a taxi will be a pain because you won’t even have a landmark to name, there's a wide and open lalang field. Yes, lalang field. 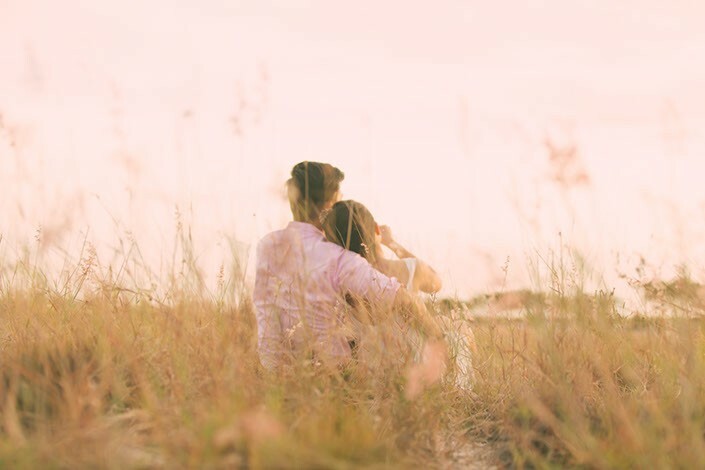 The ones with a magical touch to create the most dreamy and romantic scenes - perfect for your wedding shoot or simply a picnic date with bae. 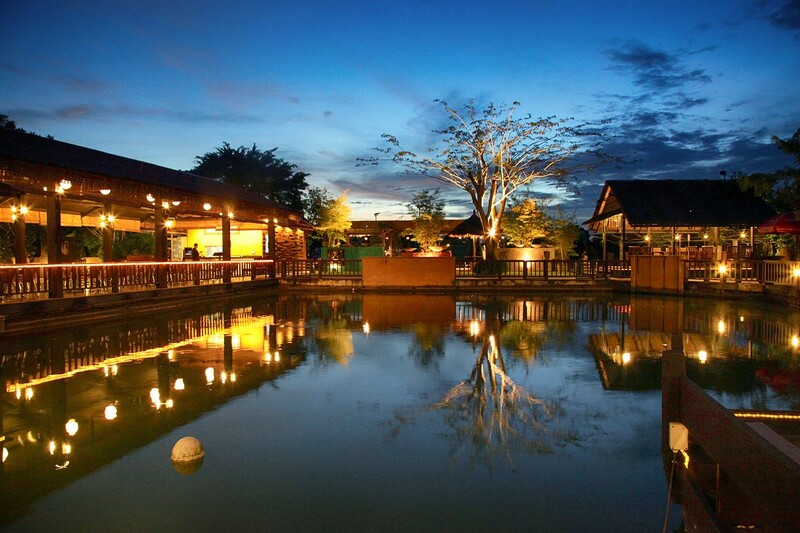 Across the field behind the casuarina trees, you’ll also find a secluded beach! While it might not have the cleanest waters to frolic in, you’ll be assured of some peace and quiet far from the rush of the city. There are tons of lookout towers in Singapore, with the one at East Coast Park being the most popular. 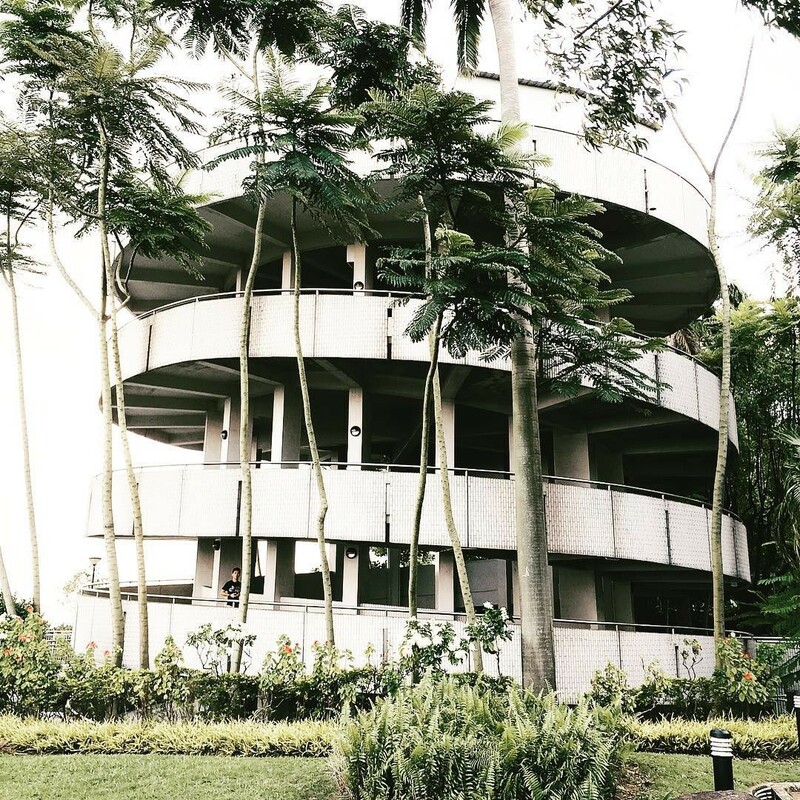 But not many know of this spiral tower in the west that’s built in 1970 and nestled within Jurong Hill Park. 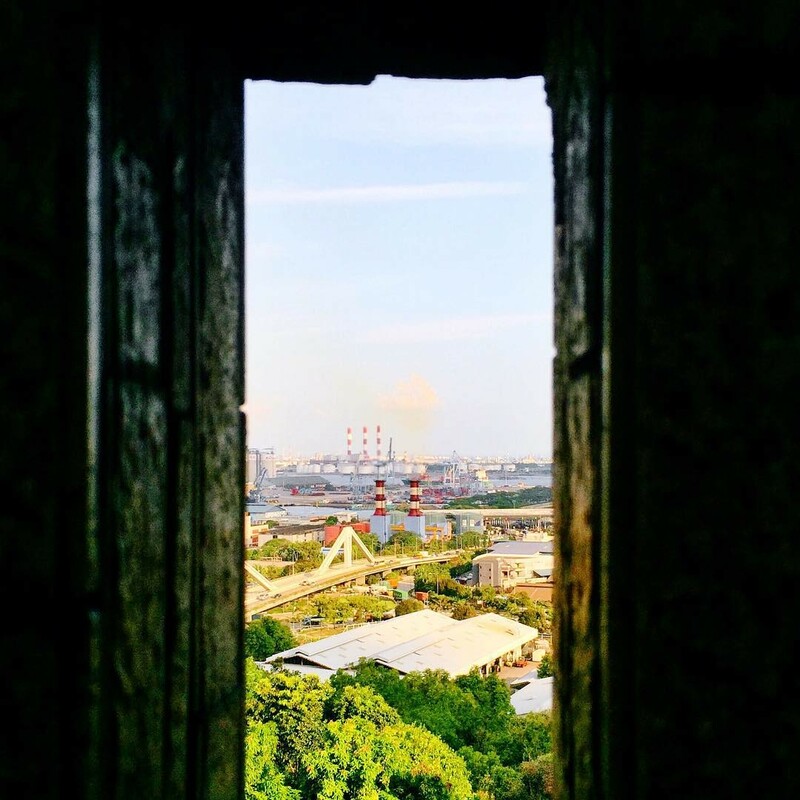 Catch the sunrise here for a refreshingly different skyline, as it overlooks the rarely-sighted Jurong Island. 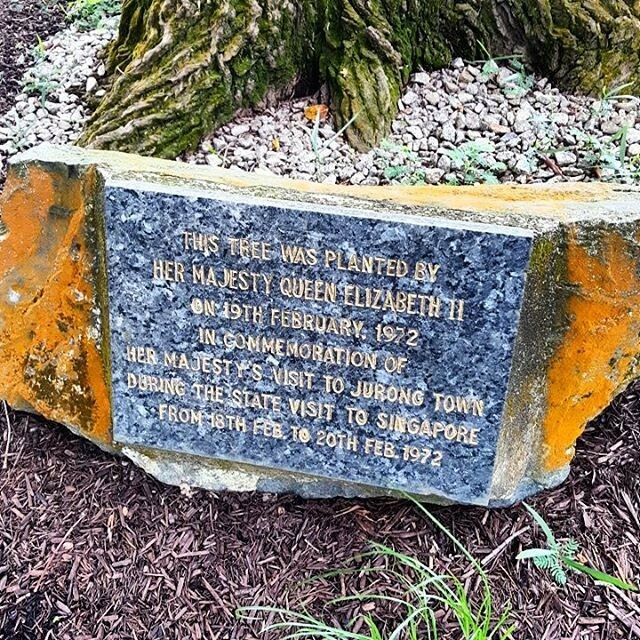 Jurong Hill Park is notably home to the Garden of Fame. Big shots who’ve legitly changed the world, like Deng Xiao Ping and Queen Elizabeth II, have left their mark by planting trees there. Feel free to spend hours wandering around the area as there’s free parking after 5pm! It’s hard to imagine that Singapore has farms. But when we do, they’re bound to be super ulu. 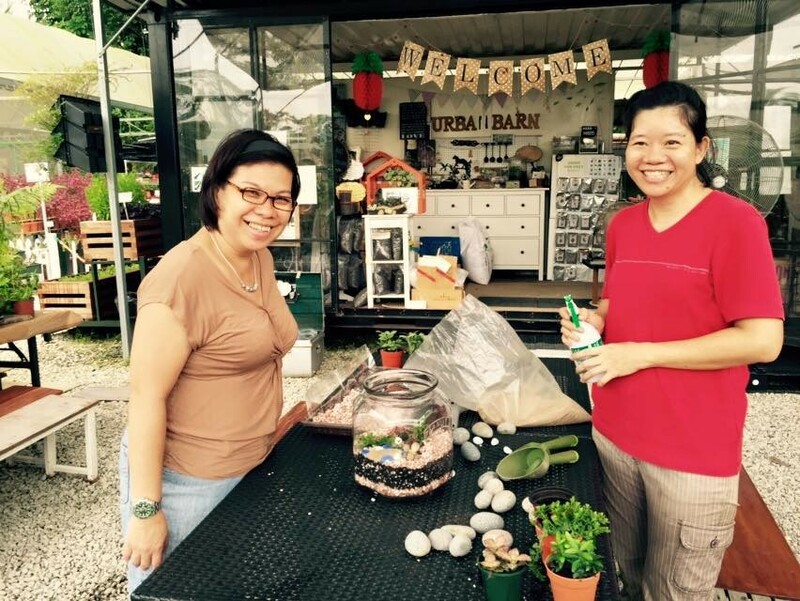 At the top of Bukit Panjang Hill far out in the west, Pocket Greens is your one shot at being a farmer. 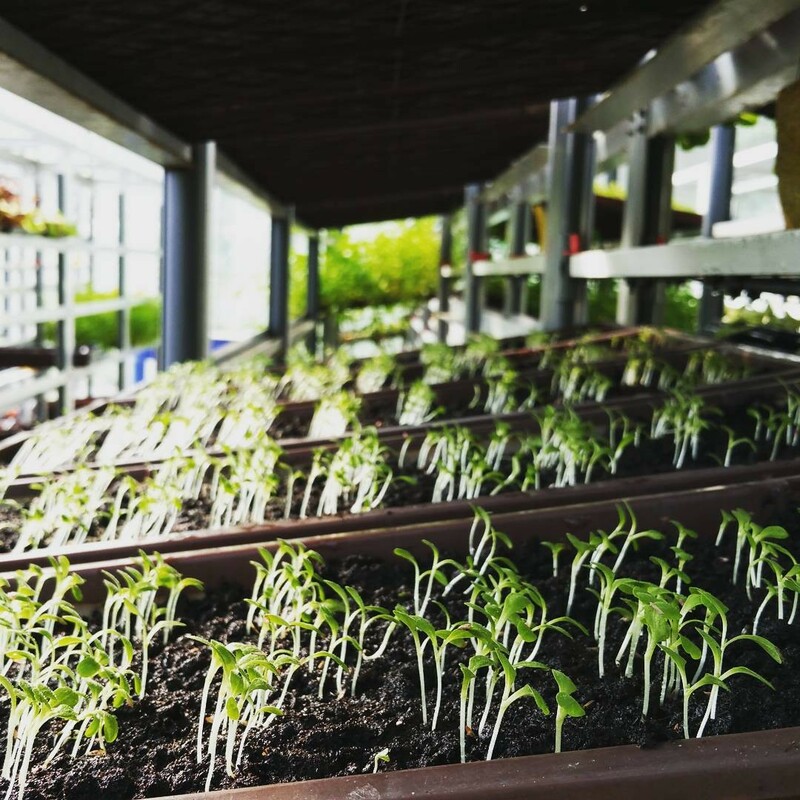 While we can’t live the idyllic life in the countryside, we can have a go harvesting our own crops at this whimsical urban farm! And it’s so simple - you just adopt a rack at their library of vertical farms. Then, sow a seed and wait for it to sprout! Members of the public can rent 20 trays at $50 per month. Plants include lettuce, wheat grass and pak choy just to name a few. Of course if this is still too troublesome, they also sell mini home gardening kits. Think of Pasir Ris Farmway, and immediately stray dogs and long endless roads will come to mind. But if you have a car, you can check out the farms along this road, including one of the most empty prawning places in time - yay to less competition! 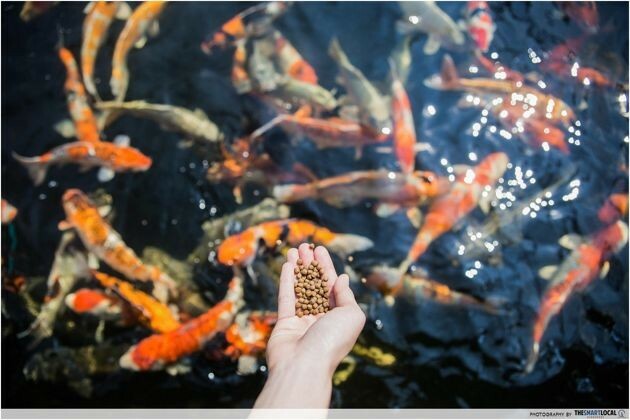 The fish farm at Pasir Ris is also one of the few remaining places in Singapore where we can partake in longkang fishing. Some would say, it's the cheat way of fishing - but it’s also way more fun and exciting. With simply a little bucket and net in hand, it’ll reignite the curious kid in you. And since you're here, find out 19 other things to do in the east here. Say the word Mandai, and every true blue Singaporean will autocomplete it with Zoo. Along with the never-ending ride into the world-class attraction. 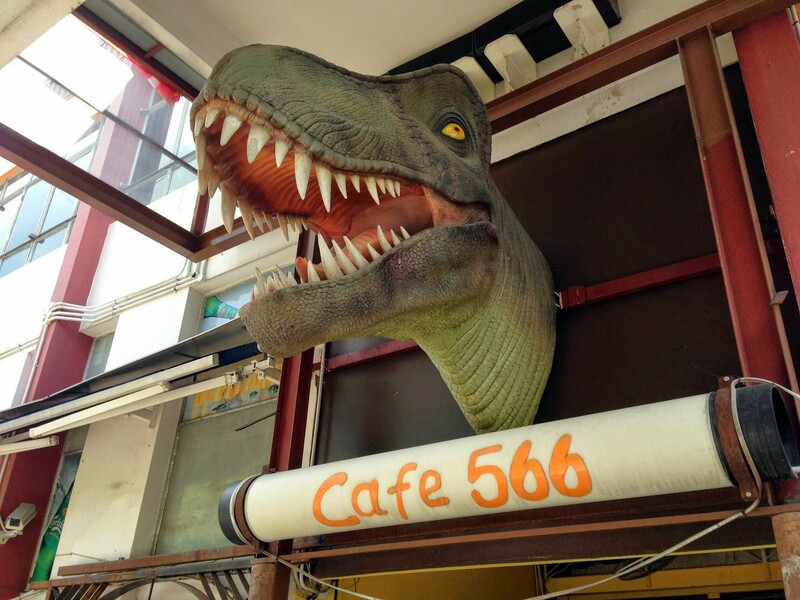 But not far away, a quirky zoo cafe hides so in the middle of nowhere that you’d wonder how they’re still surviving. Right out front, you’ll find a T-rex head and a giraffe standing atop a Land Rover. Kids will love or hate this place, while adults are bound to be amused. But beyond their queer theme, they sell legit zi char at prices that won’t burn a hole in your pockets. Try out their signature Fried Salted Egg Squid ($8) and Cereal Chicken ($8) while you’re there! 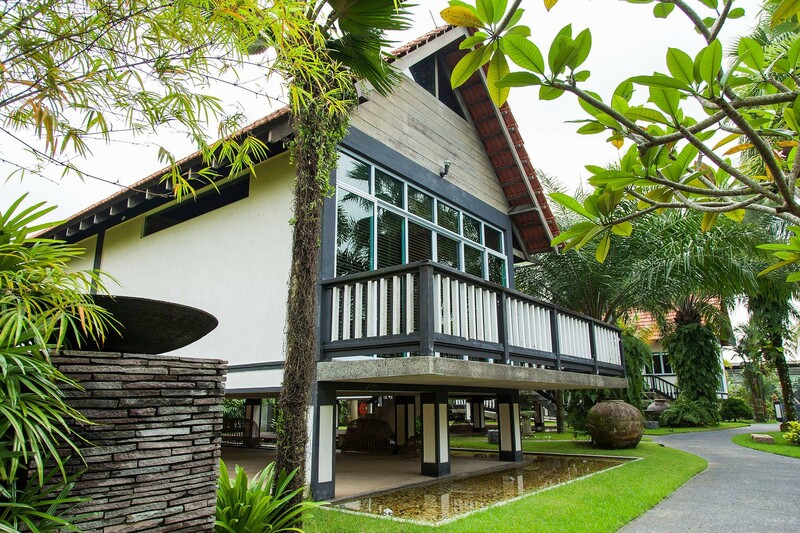 Gardenasia is a hidden paradise within Kranji countryside. 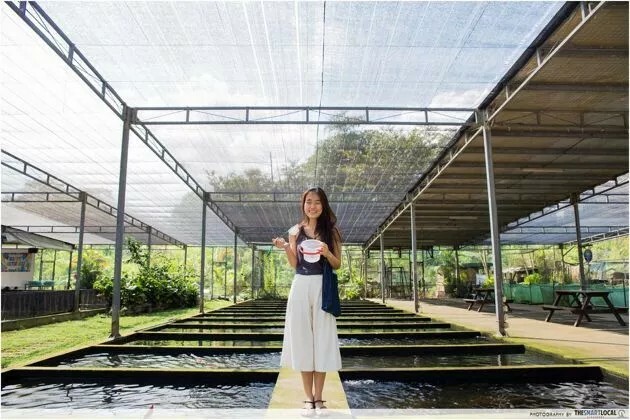 While Punggol Ranch and D’Kranji Resort are the most popular farmstay options in Singapore, Gardenasia is one of the newest adds to lookout for. 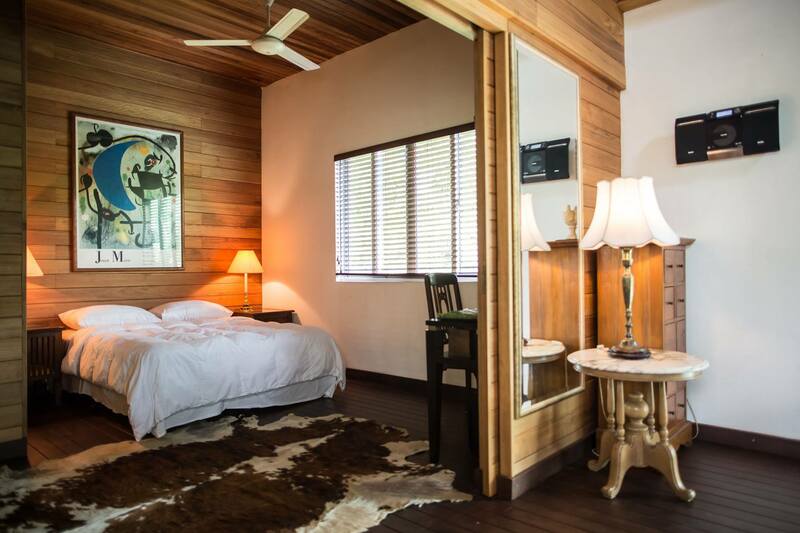 With a cluster of ulu villas just opened last year, it’s still spanking new and will most probably have spaces available for your spontaneous stay-cay. Without scooting off our shores, you can snag a getaway experience here just like those in Bali. Your tummies will also be pampered at their bistro that offers refreshing grub in a chill alfresco setting. 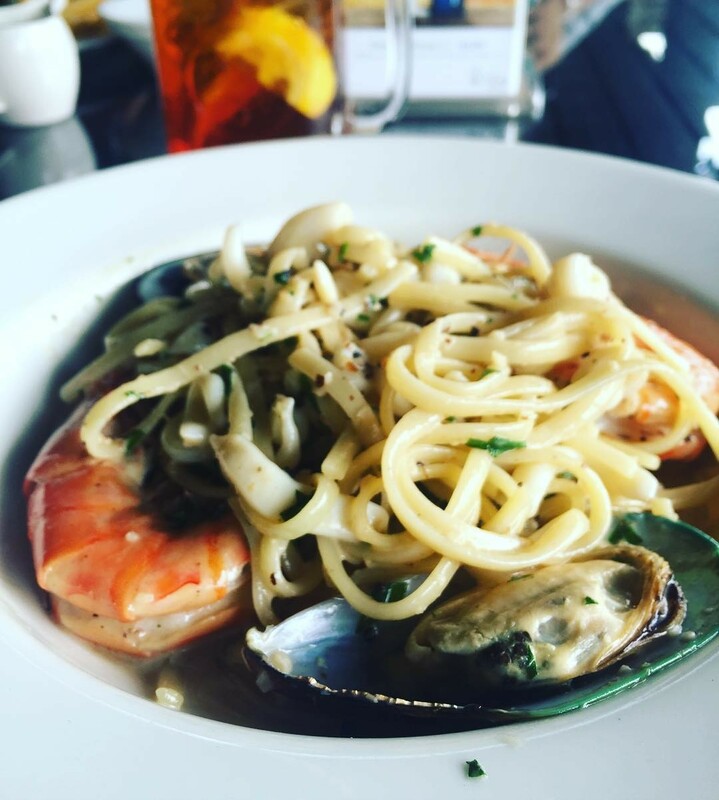 I’m already drooling for a bite of their Seafood Pasta ($15). Check out their full menu here! 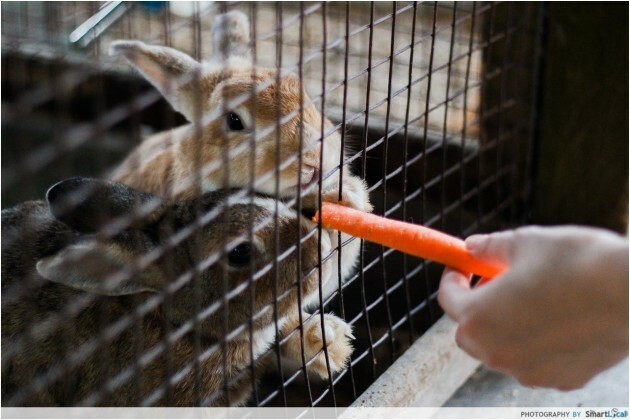 If you love animals, but are a broke kid like me, you’ll love The Animal Resort. 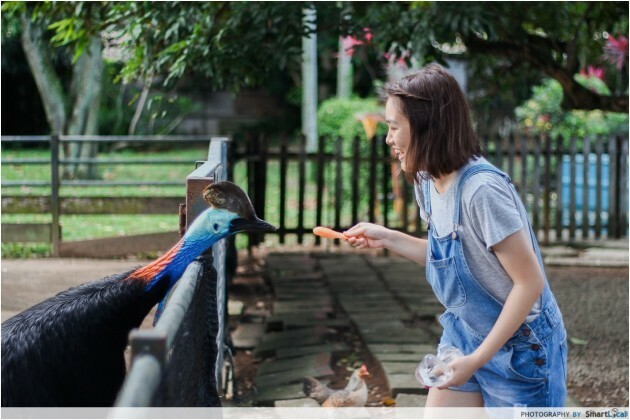 And you don’t have to spend a single cent to visit this kampung version of a zoo, except maybe on fuel. 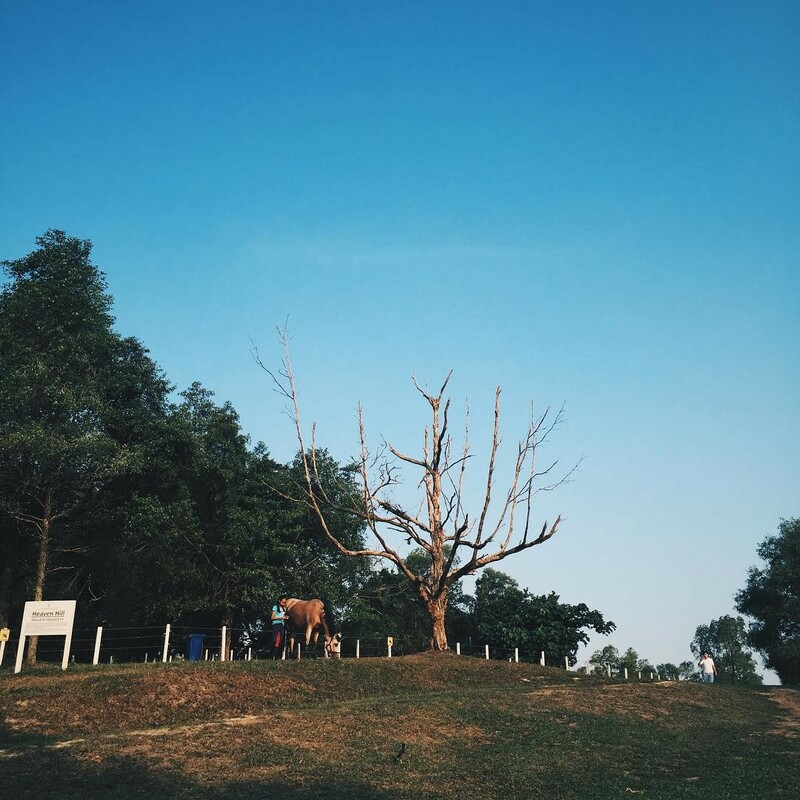 Found at the far end of Seletar, the experience will be worth the long ride. Completely hands-on, you can get up close and personal with the critters. 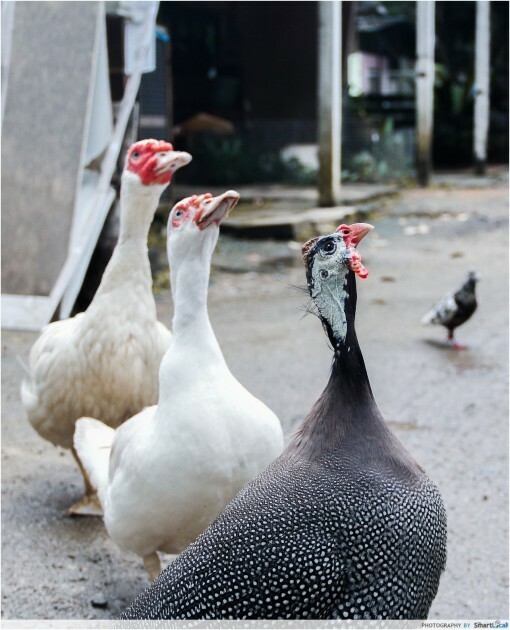 They are a bird sanctuary with 11 different types of birds, from Marabou Stork to Cassowary. And many of them are free to roam around. Carry some food and you’ll have a trail lined up behind you waiting to be fed. Find out what else this animal kingdom has to offer! 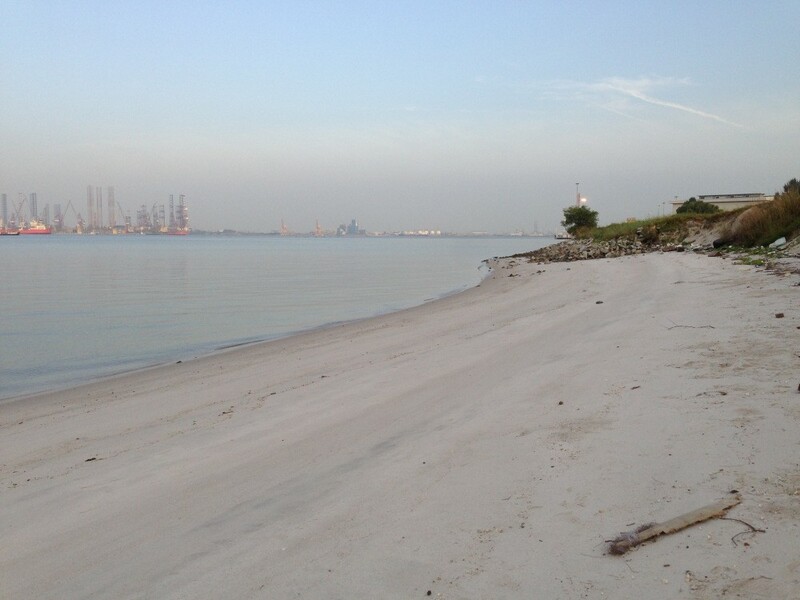 Singapore is home to a Brighton beach of its own. Those colourful beach houses at Brighton are forever plastered on Instagram - and now you can get a hint of it at Punggol! 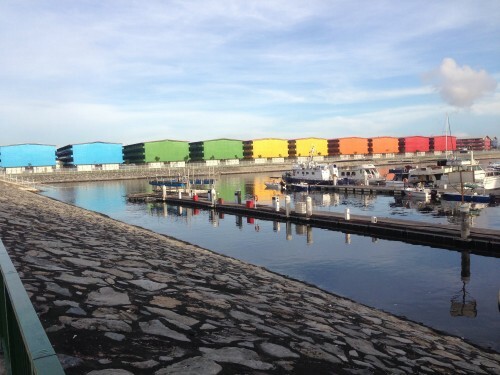 Believe it or not, these rainbow sheds are in fact the PPT lodge for foreign workers’ dormitories. We heard there's even a cinema housed inside! There are also many photogenic spots near the dormitories. 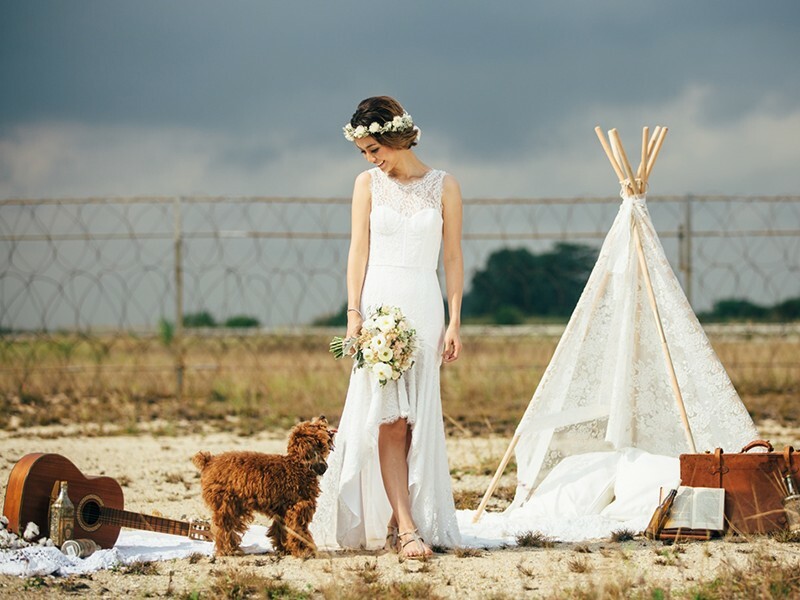 And we’re not just talking about Punggol Waterway Park. Down the road, you’ll chance upon a picturesque lake that will surely please your need for symmetry and make you feel like you’re not in Singapore. We’ve talked about Rider’s Cafe countless times. Death By Chocolate Cake, it’s great. 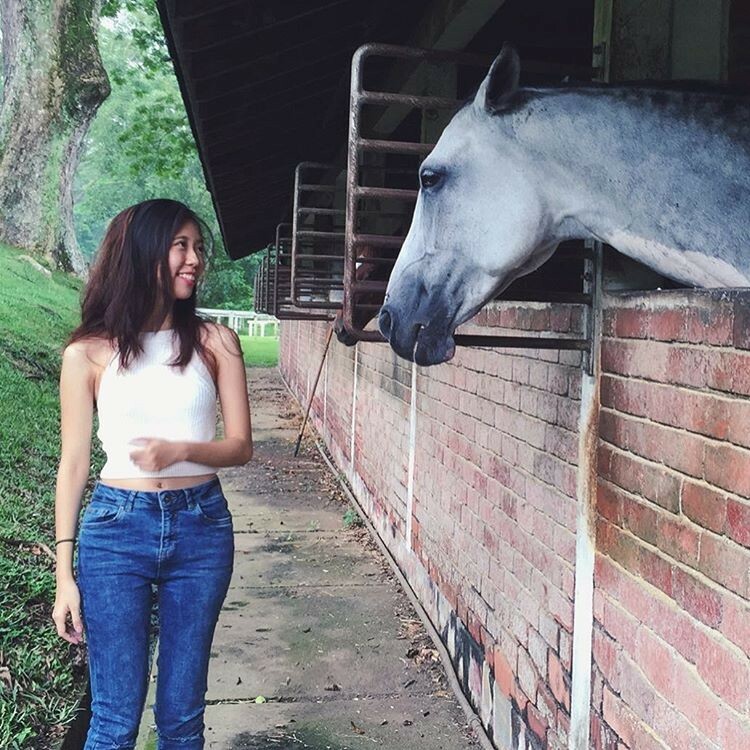 But the whole reason for it’s existence is Bukit Timah Saddle Club. And there’s much more to do there than simply watching horses occasionally trot about from afar. You don’t have to be member to take part in trail rides with the horsies and even introductory horse riding courses. 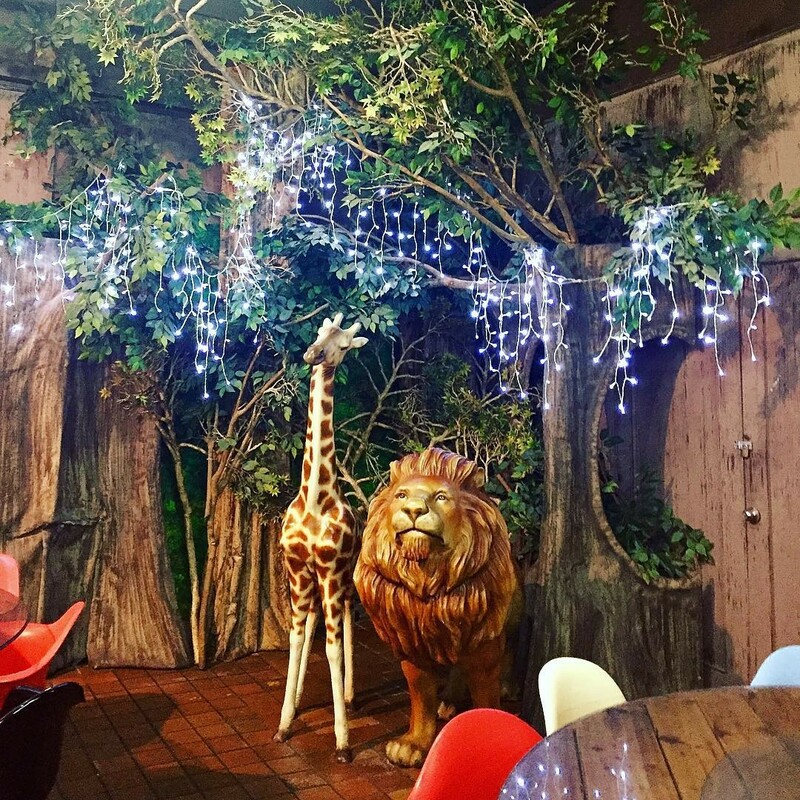 Plus, it’s a kid’s wonderland during the weekends! At just $10, kids under 12 years old have the chance to experience the thrill of pony riding. Imagine film lots at Hollywood, SG version. 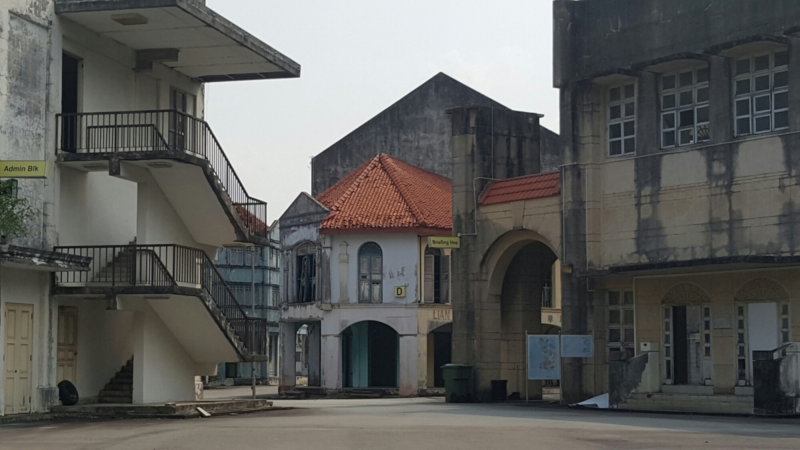 Covering a gigantic space of more than 4 football fields, Tuas TV World will transport you to the bustling streets of the 1950s Singapore. It’s a grand sight, but also a nostalgic trip down memory lane. 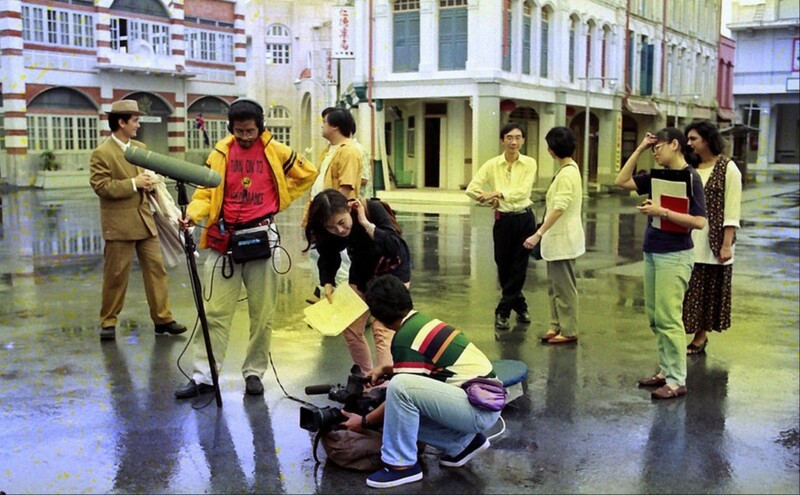 Back in the days of TCS, before Mediacorp, the set was used to film local period dramas including Joys of Our Life. 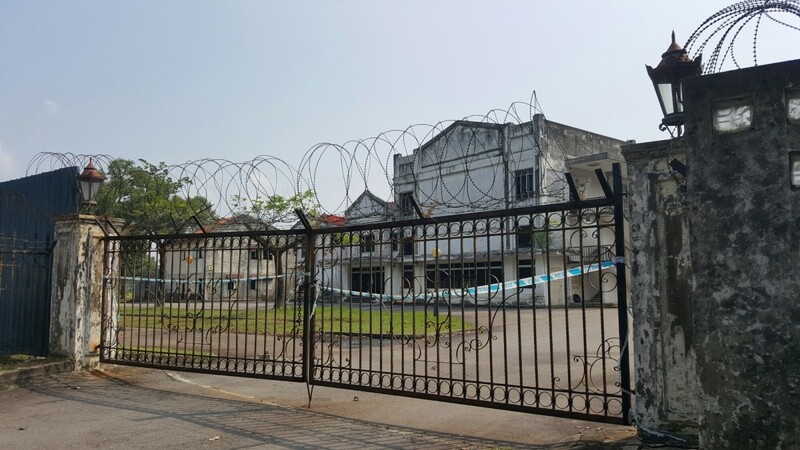 Sadly, it has become a Tactical Training Village for the police today, so you can’t venture beyond the gates. But you can still peek a look in and say hello from the other side - while it hasn’t been completely demolished! Just as good things come to those who wait, the best adventures are reserved for those who’re willing to travel the distance. While these places aren’t easy to get to and it’s likely you’re going to get lost no matter what kind of Singaporean driver you are, it’s all part of the adventure of a true road-tripping experience. It’s also a perk of having a car, which will save you lots of hassle navigating your way. So if you’re part of the in-crowd that owns a car, tap on this privilege - and make your notoriously expensive COE worth its price - by checking out these secluded spots. And while you’re at that, ensure your vehicle is well-protected from issues like car breakdowns and accidents, so your car doesn't suddenly give up on you in the middle of Upper Changi Road. If one of the reasons you've been holding off getting car insurance is red tape, check out DirectAsia's plans - getting your vehicle insured with them is simple and fuss-free. With comprehensive policies that won’t nit-pick on little check boxes, you can leave all your car woes out of your mind. Plus, register your details by 30 September 2016 and you’ll be rewarded with up to $100 petrol vouchers.